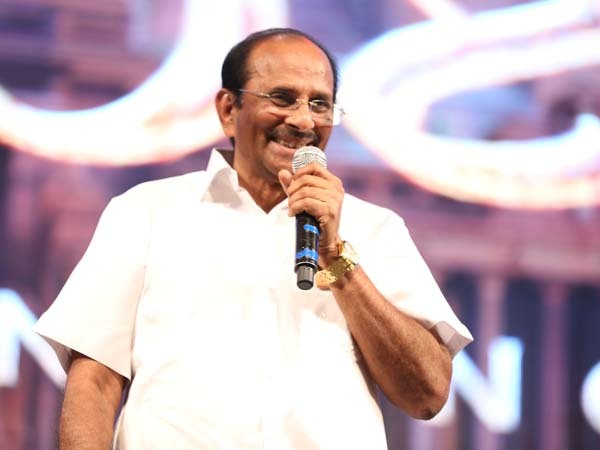 Vijayendra Prasad, known best as the father of Ace director Rajamouli, is actually an experienced screenwriter, who has played an immense role in Rajamouli’s stardom. He is currently the talk of the town as the films written by him ‘Baahubali’ and ‘Bajrangi Bhaijaan’ are shaking box office. There is no denying that he is a great writer but what about direction? He has directed a movie titled ‘Ardhangi’ long back. After that he had directed ‘SriKrishna 2006’ and ‘Rajanna’ movies. None of the films have become box office hits despite Rajanna was critically acclaimed. Now he is silently directing a film and surprisingly it is a psychological thriller involving Lesbians. This is indeed a bold move by this veteran writer. Neha Singe is playing the lead, and the movie is being made in Telugu, Tamil and Kannada simultaneously.